(Okayama, 22 June) A protein known to be crucial for maintaining the balance of calcium in cells could prove useful in halting the progression of heart failure. The sodium-calcium exchanger 1 protein (NCX1) plays a major role in removing excess calcium from cells. This is particularly true in the case of the heart, where calcium levels must be carefully balanced and maintained in order to keep the organ healthy. During heart failure, scientists have noted an increase in the expression of NCX1, but its exact role during the progression of the condition remains unclear. 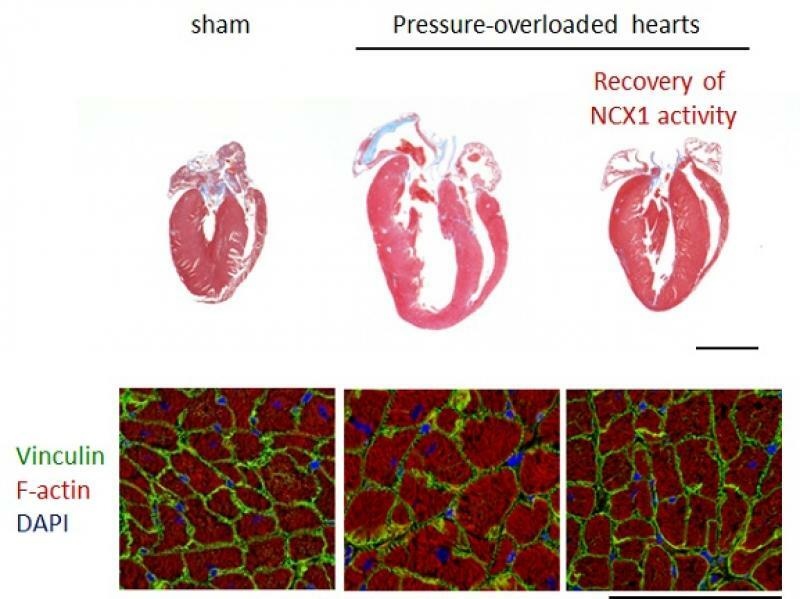 Now, Yuki Katanosaka and co-workers at Okayama University and Kawasaki Medical School, Japan, have shown that inducing NCX1 overexpression in the weeks following heart failure can help prevent ‘cardiac remodelling’; detrimental changes in the shape and size of the heart after it has failed. To investigate the role of NCX1, Katanosaka’s team generated mice in which NCX1 gene expression was controlled by a cardiac-specific, doxycycline (DOX)-dependent promoter. Without DOX to trigger NCX1, the researchers found that the mice’s hearts suffered significant chamber dilation – over-stretching and thinning of the organ tissues – alongside abnormal calcium ion handling. This suggests that NCX1 may influence the structural integrity of heart cells. In mice treated with DOX eight weeks after surgery to induce heart failure, the team found that the DOX-induced overexpression of NCX1 helped return levels of the protein to pre-surgery levels, and prevented cardiac dilation. The boost of NXC1 also returned calcium handling to normal. Katanosaka’s team found that treated heart cells also retained their integrity and their ability to contract, and did not increase in size like heart cells without NCX1 did. Other signaling processes associated with heart failure were also halted by NCX1 overexpression. “A moderate increase of NCX1 could help prevent the development of heart failure by maintaining low Ca2+ concentration in the microdomain,” state the authors in their paper published in Cardiovascular Research (2016). Heart failure is a fairly common condition globally, particularly in those over the age of 65. In the UK, for example, heart failure is the reason for 5% of emergency admissions to hospital. It occurs when the heart is no longer capable of pumping enough blood around the body for a person’s needs. Symptoms include shortness of breath and extreme tiredness, and the condition can impact heavily on a sufferer’s quality of life. Heart failure is potentially fatal, and treatments focus on improvements to lifestyle that can alleviate symptoms (such as increased exercise, healthy diet, smoking cessation), as well as medication to improve heart function and blood pressure. Investigations into the mechanisms inherent in heart failure could potentially lead to new therapies that might help repair the heart, allowing it to function as it did before heart failure set in. Similarly, it could be feasible to stop heart failure progressing, as the study by Ujihara and his team suggests. Investigations into the fluctuations in NCX1 levels are needed to further clarify the protein’s role in heart cells over time during the course of heart failure. The insights from this study provide an excellent basis for further work into NCX1, and may one day lead to the development of new therapies to halt the progression of heart failure. Yoshihiro Ujihara, Keiichiro Iwasaki, Satomi Takatsu, Ken Hashimoto, Keiji Naruse, Satoshi Mohri, Yuki Katanosaka. Induced NCX1 overexpression attenuates pressure overload-induced pathological cardiac remodeling. Cardiovascular Research, 26 May 2016. 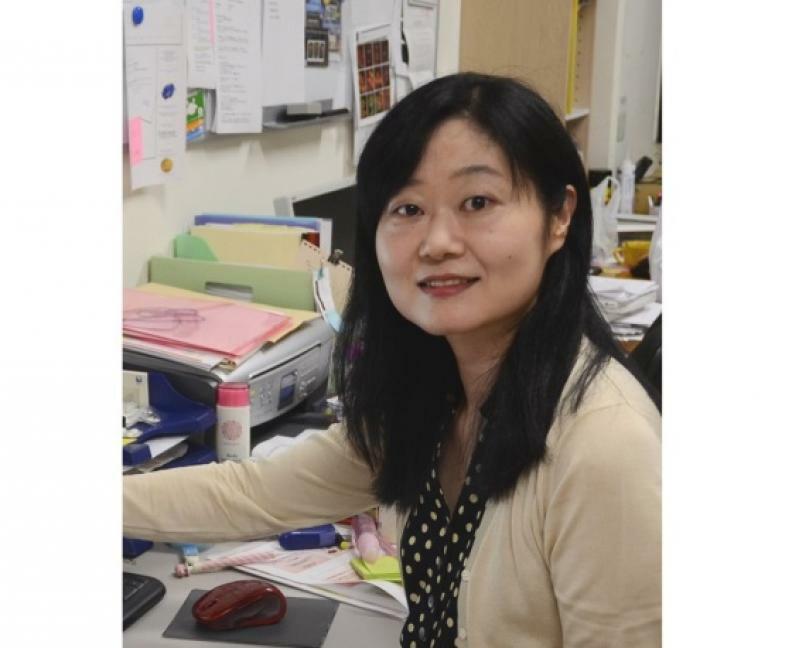 Assistant Professor Yuki Katanosaka, Ph.D.
Recovery of NCX1 activity attenuates the progression of pathological cardiac remodelling after pressure overload. (upper panels) Histological sections of sham- and pressure overloaded hearts with or without the recovery of NCX1 activity. Scale bar, 5 mm. (Lower panels) Cross section of cardiac tissue in these hearts. Scale bar, 100μm.